HelloFresh is a vegetarian-friendly, allergen-friendly, affordable, flexible meal delivery service that allows you to prepare dishes that suit your taste, don’t involve any hassle, don’t take much of your time, and are budget-friendly. Home Chef offers a diverse menu with great flexibility and pocket-friendly prices. Their recipes don’t require much of your time and are suitable for all skill levels. The company offers three plans: Classic, Family, and Veggie. Each week, the customers get eight new recipes on the Classic plan, five new recipes on the family plan, and three new recipes on the veggie plan. Meals aren’t separated into specific meal plans. The company offers one weekly menu to choose from instead. They are suitable for two, four, or six people. Each week, the customers get sixteen new recipes, including a fruit basket and a smoothie. The customer can switch between plans or modify their subscription whenever. Pausing, skipping, and canceling is easy and possible at any given moment. However, all changes must be submitted by 23:59 PM PST five days before your next scheduled delivery. The customer is allowed to customize or edit their subscription whenever they wish. Skipping, pausing, or canceling the subscription is easy and possible at any given moment. However, all changes have to be made by 24:00 (CST) on the first Friday before the scheduled delivery day. 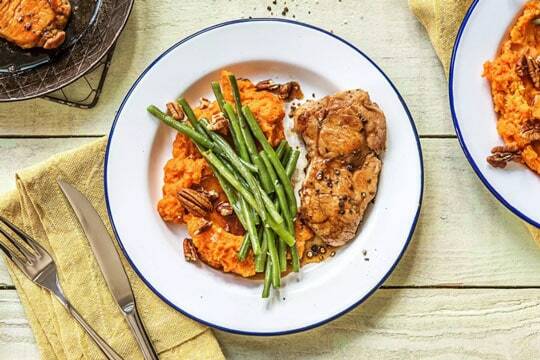 HelloFresh provides a maximum of only eight dishes in their classic plan. The rest come with even fever dishes. The family plan offers five dishes maximum, while the Veggie plan offers three max. Plans can be changed from week to week. In comparison, Home Chef provides a maximum of fifteen dishes per week. The customer has the option to choose from all, no matter how many people they’ve selected. There are three 5-minute no-cooking lunch dishes and three to four vegetarian. Both companies offer a diverse range of dishes, both in terms of style (Italian, Classic, Asian, Mexican, etc.,) and the ingredient base (poultry, fish, vegetables, meat, etc.,). 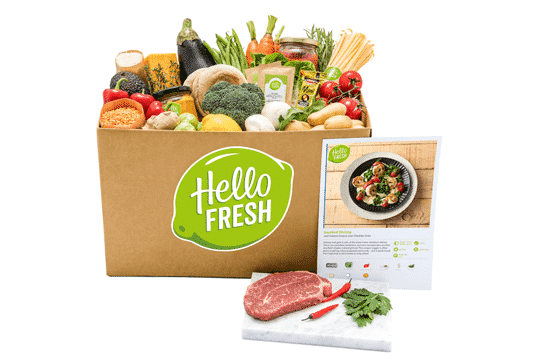 However, even though HelloFresh has more plans, and Home Chef just one, Home Chef has a more diversified plan than all of Hello Fresh’s three plans combined. The winner is Home Chef. HelloFresh offers locally sourced ingredients of the finest quality. Seafood Watch vouchers for their wild-caught, ocean-friendly seafood. Their meat comes from local farms that adhere to the highest quality standards. The all-natural fruit and vegetables come from family-owned farms and are always freshly picked. Home Chef gets its ingredients from trusted farmers and suppliers that are known for their high-standard sustainability practice. Home Chef tries to source locally whenever they can, and they promise to always serve natural and fresh produce. You can expect to get reliably high-quality ingredients from both services. HelloFresh uses domestically sourced meat. According to their statements – their poultry doesn’t have any added hormones or antibiotics. As for the pork, it also doesn’t contain any added hormones. Their seafood is all natural and sustainably sourced. However, their produce is not always organic, but it is of exceptional quality. Instead of focusing on organic ingredients, the company has decided to focus on bringing into more fruits and veggies into the everyday lives of their customers. On the other hand, Home Chef’s partners are Payson Breton Butter. They rely on them for high-quality food supply. Their produce comes from “World Wide Farms,” while “Sea to Table” provides them with sustainably sourced seafood. It’s a close call. However, it seems that Home Chef’s partners inspire a tad bit more confidence, so we’ll have to go with them again. With HelloFresh, each meal is packed with optimally nutritious ingredients. Portions are big enough to fill your belly but don’t hope for leftovers. When it comes to Home Chef, the calorie count differs from dish to dish. They go from under two hundred calories to more than seven hundred and fifty calories per meal. Calorie-rich dishes are properly labeled. Dishes are generally nutritious and will keep your stomach full for a couple of hours. 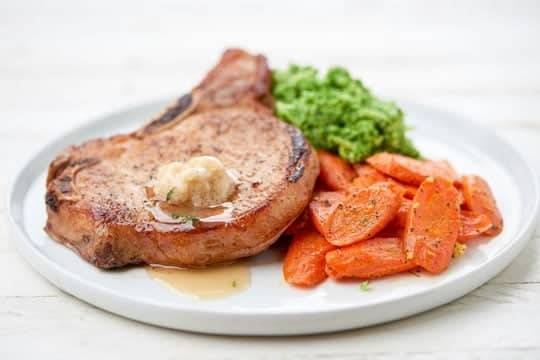 While it appears that Home Chef’s portions are bigger, HelloFresh seems to be doing a better job of making sure every meal is rich in all the necessary nutrients. It might be a question of personal preference, but we’re going with HelloFresh this time. The majority of dishes from both services are truly enjoyable. They both give off the impression that they’re trying to focus on well-known and simple dishes. Both companies also seem to try and help their customers incorporate healthy veggies into their diet. Recipes are typically classic and not quite complex. Both services are excellent for those who are new to meal kits. Home Chef delivers only the ordered recipes, along with a binder that allows you to save them and keep your all kitchen well organized. HelloFresh sends customers all of their recipes. Each recipe comes with the nutritional info. That way, you are able to plan ahead or perhaps prepare some of the recipes if you have the necessary ingredients at home. The biggest advantage when it comes to Home Chef is the great variety of recipes they offer. There are a dozen dishes to choose from each week, and for an extra fee, you can choose some add-on such as a smoothie kit. Aside from the basic meals, Home Chef offers two seafood and three vegetarian dishes each week, and there is always a steak. HelloFresh is known to charge extra for steak. Also, it seems that Home Chef puts in an extra effort in adding a twist to every meal. Their ingredients are a bit more exotic, which means the preparation involves a bit more creativity and isn’t as monotonous. Therefore, Home Chef wins again, but not by a wide margin. The company is known for its cardboard packaging and eco-friendly paper-use, which is very commendable. The box comes with a sheet of nutritional info that also includes comprehensive information on the provenance of all the ingredients. The company operates in 48 states. Each meal has its own plastic pouch, so you can simply just take out one of those when you’d like to start cooking. They also deliver to 48 states. They are not as eco-friendly as HelloFresh as perhaps there’s too much plastic in each box, but every package comes with recycling instructions. Still, delivering four garlic cloves in two bags is simply a waste, and the victory clearly goes to HelloFresh in this category. Switching plans – The service allows customers to switch between plans and the number of meals delivered each week with ease. Cancellation – The cut-off date for cancellation is by 23:59 PST five days before the next scheduled delivery. As long as it’s done on time, cancellation is free of charge. Refunds – The company does offer refunds, but they aren’t quite clear on them. In case you are not satisfied with your delivery, the company urges you to contact them within five days. Gifts – Using the coupon code GET3MEALS will get you three free meals in your first delivery. Free Trial – The company doesn’t offer typical free trials, only vouchers, and coupons. Customizable – Menus can be customized. Switching Plans – Switching and tailoring plans is possible. Cancellation – Canceling and pausing your account is possible. The cancellation request must be submitted before Friday 12 PM CT if you don’t want a meal box delivered for the upcoming week. Refunds – The company offers refunds, but whether or not they’ll grant you one is up to them. For each delivery, refund requests can be submitted within seven days. Gifts – Coupons and Vouchers can be found online. Free Trial – The service doesn’t offer free trials. Instead, coupons for three free meals can be found online. Customizable – Plans and menus can be customized. Both companies offer high-quality service and seem to be catering to customers who prefer classic family dishes. Most differences you can find are a thing of taste and preference, rather than quality. 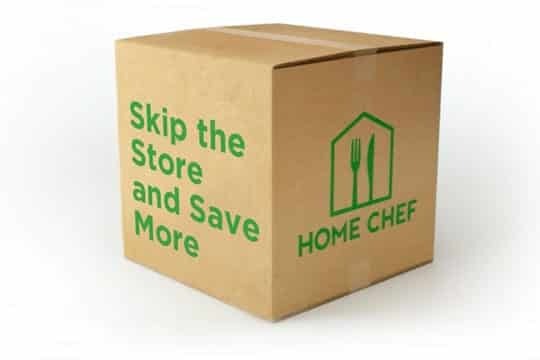 Home Chef provides more versatile and flexible plans, while HelloFresh sticks to more classic and simple dishes. It’s a close call, but it appears that Home Chef is a tad bit better.